In this article, we will cover the basics of technical requirements for hosting webinars on Livestorm and hosting webinars in general. Is Livestorm compatible with every browser? Yes. Your attendees will be able to join your webinar on all major browsers including IE11, Safari, Firefox, Opera and Google Chrome. However, as a host, you must use Google Chrome on a desktop computer to share your webcam and screen. The same goes for anyone that you invite on stage to share their screen, webcam, or audio. Also, note that attendees who are not on Google Chrome, Firefox, Opera or who are on a mobile/tablet device will experience a 15 second delay due to browser limitations. The best way to see all of this is to create a free account yourself and test it in your own environment! Learn more about our free trial or start a free trial with Livestorm. Does Livestorm work on mobile/tablet devices? Yes, Livestorm is optimized to work on mobile/tablet devices including iPhone, iPad and Android devices. But, again, as a host, you will have to be on a desktop computer with Google Chrome, Firefox, or Opera. We do not provide a mobile app for one simple reason: everything works on your browser on desktop or mobile. Livestorm is responsive so it supports small screens as well. However, attendees on mobile will experience a 10-15s delay as they will connect through our Compatibility mode. What are the connectivity requirements to host or access a webinar? As a host, we recommend 15Mb/s up and down for optimal results. A minimum of 5Mbs/s if necessary to upload your live stream. Aim for 5Mb/s for attendees. 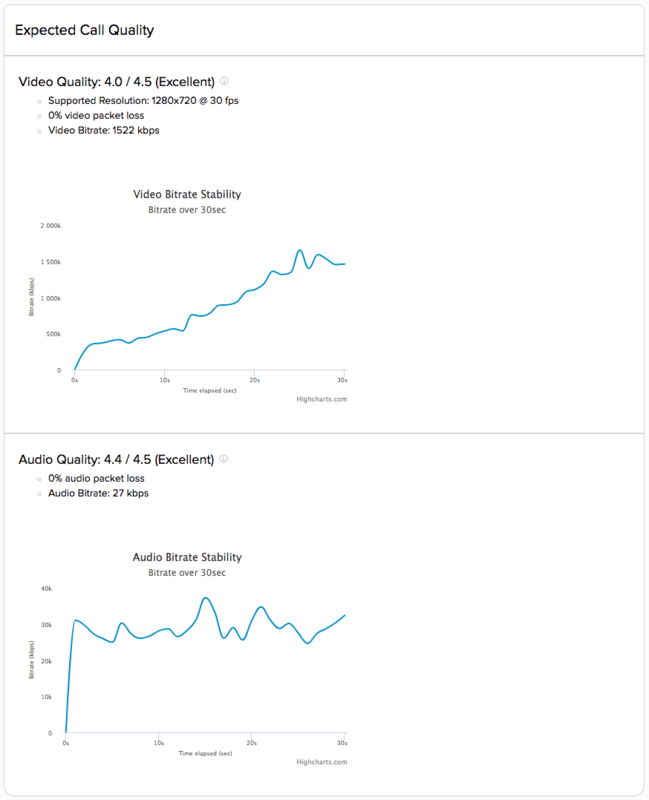 Livestorm will downgrade your video quality and give priority to audio if you don't have enough bandwidth. Run tests here. This is a test from our offices, we have a pretty good download speed. Our upload speed is good but not incredible, enough to send a good video stream. UDP is highly recommended over TCP for better quality audio and video. The protocol favors timeliness over reliability which is consistent with the human perceptive preferences; where we can fill in gaps but are sensitive to time-based delays. For the best possible experience, we recommend opening UDP ports 1025 - 65535. If you cannot watch or hear the webinar: activate the compatibility mode. If the issues persist please do a scan here: https://tokbox.com/developer/tools/precall/ and send us the results to hello@livestorm.co. If the problem persists ask your IT to unblock web sockets, the 443 ports for video streaming and the WebRTC protocol. See section above "Firewall settings". In the meantime try joining from a different network like a 4G mobile network. Or dial-in to the webinar to get the audio. Run tests here: https://tokbox.com/developer/tools/precall/ and send us the results to hello@livestorm.co. If the video starts loading after a while, your router might be blocking the video stream. Ask your IT to unblock web sockets, the 443 ports for video streaming and the WebRTC protocol. See section above "Firewall settings". Tip: Don't forget to pause your Google Drive sync or any other bandwidth consuming apps during your webinar. What Do I Need to Do Before Going Live?